The first phase of the plan was to construct a new website, designed to capture attention and interest, encourage visitors to either call or email him directly, and maintain a professional and informed appearance. A fresh WordPress installation and design was put in place, and thorough keyword research and targeting was performed. Finally, high quality optimized content was created, and the site was fine-tuned for launch. “I had a pretty strict timetable for when I needed my website launched. I was leaving my job, renting an office space, and wanted everything ready and in place for day 1. I was impressed not only with the professional appearance of my new site, but also in how quickly it was put together,” Mr. Bernstein said. After the website was built, a pay-per-click campaign was launched to bring in the first wave of clients. In the hyper-competitive fields of bankruptcy and divorce representation, costs could have quickly escalated. Instead of targeting the most popular, and therefore most competitive and expensive search terms, less competitive niches and searches were found, and the targeted audience was carefully fine-tuned and whittled down so as to avoid wasted advertising spends. “I had been nervous about the thought of spending $25 or more per click, and not turning any of those people into paying clients. But we were able to find keywords for a fraction of that price, and it didn’t take long for my phone to actually start ringing from real clients as a result of those ads,” Mr. Bernstein said. At the same time, an ongoing monthly program consisting of link-building, social networking, blog posts, and press release and article distribution, was put together to ensure upward momentum in organic search results. Here, the promotional efforts had a quick and profound impact, including page one and number 1 rankings on Google for some of the most important keywords related to his business, within months of his website being built from the ground up. “I never expected to reach the first page of Google so quickly with so much competition out there, let alone reach the number 1 spot. Seeing my website up there and being able to find so many potential clients from the search engines was phenomenal,” Mr. Bernstein said. 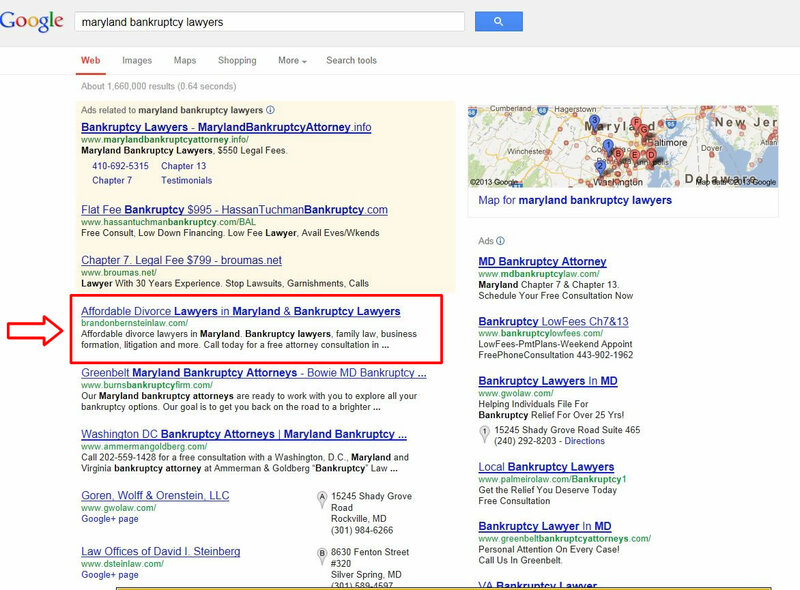 After a year of operation, Mr. Bernstein brought in over 75 clients to his new practice as a direct result of his work with Washington DC SEO. He continues to utilize the company for promotion, organic SEO, content creation, blog management, social networking, and more. “I’d highly recommend Washington DC SEO for any small business looking to find new clients, increase its position in the search engines, or build a new website. They’re more affordable than other services out there, and quite frankly, the results I saw speak for themselves,” Mr. Bernstein said. 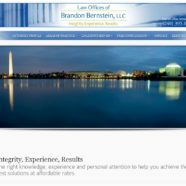 You can visit the Law Offices of Brandon Bernstein and view their services as affordable divorce lawyers in Maryland at BrandonBernsteinLaw.com. To see what Washington DC SEO can do for your small business, use the form on the sidebar of this page to send us an email today.